The Diller Foundation was revealed in August as one of the principle funders of the black-listing site. They still haven’t publicly apologized, and they haven’t acknowledged the harm that was done by their actions or [said] how they would repair it. They said, ‘We aren’t funding these organizations.’ And that was that. One of the US charities that the Forward exposed as a funder of the online blacklist Canary Mission is trying to distance itself from the website, but alumni of its teen program say it isn’t going far enough. In a letter, senior staff of the Helen Diller Family Foundation acknowledged the foundation’s grant in support Canary Mission, and said it would not be renewed. Yet while the letter condemned “any organizations and ideologies associated with sinat chinam (baseless hatred),” it did not explicitly condemn Canary Mission, nor did it say that the foundation regretted the grant. The Diller foundation sent the letter on October 11, the day after dozens of alumni of a teen leadership program it operates published an op-ed in the Forward calling on the foundation to “do teshuva,” or repent, for making the Canary Mission grant. Portrait of Alice Rothchild by Robert Shetterly, from the Americans Who Tell The Truth collection, 2018. When I see oppression and injustice and inhumanity, I am compelled to call it out and I will advocate whatever nonviolent means of resistance I have at my disposal. Ironically, my voice is often welcomed in churches and mosques. I hope someday to be welcomed in synagogues too. It would be nice to come home. The attorney expressed concern that my books and “the far left“ Jewish Voice for Peace, of which I am a member, are advocating for the boycott of Israel and that, “Boycott is a form of violence.” He noted that since January 2018 BDS supporters have been banned from entering Israel. Trump is not Hitler and Trumpism is not Nazism, but regardless of how the Trump presidency concludes, this is a story unlikely to have a happy ending. A highly politicized judiciary will remain, in which close Supreme Court decisions will be viewed by many as of dubious legitimacy, and future judicial appointments will be fiercely contested. The racial division, cultural conflict, and political polarization Trump has encouraged and intensified will be difficult to heal. Gerrymandering, voter suppression, and uncontrolled campaign spending will continue to result in elections skewed in an unrepresentative and undemocratic direction. Growing income disparity will be extremely difficult to halt, much less reverse. Sheldon Adelson is making massive expenditures in federal elections because he believes that Republican control of the House and the Senate is vital to maintaining right-wing and pro-Zionist policies. For less than $150 million — pocket change for such a plutocrat — Adelson has effectively bought the presidency and Congress. Seventy years of nationalism and racism toward the victims is now receiving legal justification. From now on, two types of blood exist in Israel: Jewish blood and non-Jewish blood, on the law books as well. The price of these two types of blood is also different. Jewish blood is priceless, it must be protected in every possible way. Non-Jewish blood is terrifyingly cheap, it can be shed like water. 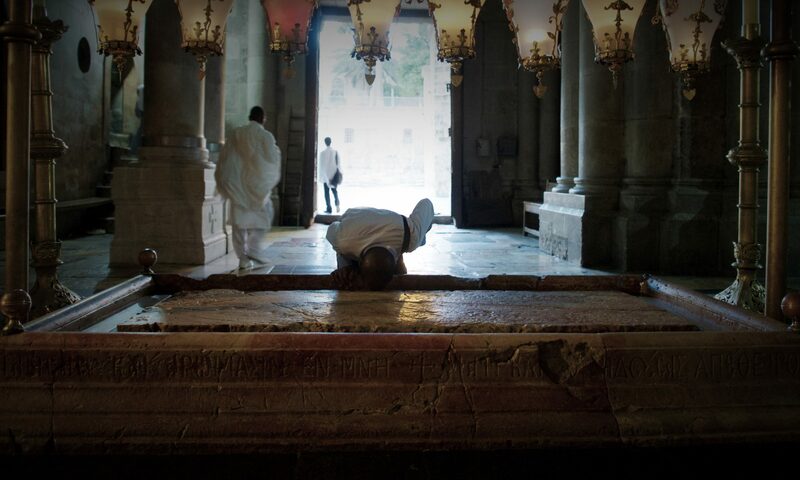 There is nothing like Yom Kippur to express this. Israel has of course never even considered entering a process of compensation, reparation and taking responsibility. Nothing can be expected from an occupier that calls itself the victim, that blames everyone but itself for every injustice that it does. But even this isn’t enough for it. With the endless march of settlements and Israel’s continued impunity, a solution to the Israel-Palestine nightmare may seem impossible. 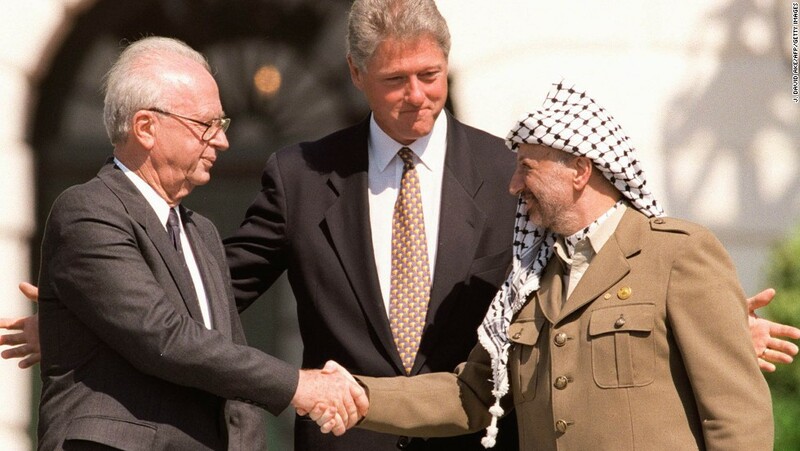 [Oslo should be considered] an instrument of Palestinian surrender . . . . Clearly the PLO has transformed itself from a national liberation movement into a kind of small-town government. . . . What Israel has gotten is official Palestinian consent to continued occupation. As many as 500 children are in jeopardy of losing services if the funding shortfall is not addressed. I am very much concerned and afraid that cutting off all American assistance, mostly in humanitarian aid, has hobbled the aid agencies that receive the funds, and more consequently, crippled the lives of Palestinians who continue to live in dire need and have fewer employment prospects now more than ever. This is unfair and beneath our compassion. Since the announcement in September that the US Government planned to cut $200 million in aid to UNRWA, the United Nations’ agency dedicated to providing humanitarian aid to Palestinian refugees, and the news the following week of $25 million in cuts in direct aid to support hospitals affiliated with the East Jerusalem Hospital Network, we have been tracking the implications of those cuts on the institutions of the Episcopal Diocese of Jerusalem, particularly Al Ahli Hospital in Gaza City and the Princess Basma Center for Disabled Children in East Jerusalem. While in recent weeks many European Union countries, as well as Japan, China, and Qatar, among others, have stepped up by pledging to address the shortfall, the impacts of the cuts could have devastating impacts on all sectors of society. Many thousands of vulnerable Palestinians, including women and children — particularly those in Gaza — are already experiencing the effects of these sweeping cuts. . . . Please join our brothers and sisters for this fundraiser for Alrowwad Cultural & Arts Center (Aida Refugee Camp, Bethlehem). In giving them [children] the opportunity to express themselves through the theater and through other arts, they can grow up hopeful and feel they can change the world. . . . I don’t have the luxury of despair. Beautiful Resistance: Inspiring Hope in Children in Times of Despair, a fundraiser for Alrowwad Cultural & Arts Center (Aida Refugee Camp, Bethlehem). There is no charge for this event. There will be a free-will offering. Your donation to this program combats the evil done in your name with your tax dollars in Israel! Please join us for an evening of hope for these children. Sponsored by Tacoma Chapter of Jewish Voice for Peace, and Kadima Reconstructionist Community. Co-sponsors include Kairos Puget Sound Coalition, University Unitarian Church’s Chapter of UU’s for Justice in the Middle East, and Voices for Palestine. In a heartfelt letter, 17-year-old Palestinian activist Ahed Tamimi tells the story of her arrest and eight months in an Israeli prison — and the struggles she faces as a symbol of resistance. I have been involved in demonstrations and confrontations with the Israeli army since I was a child. Many criticize that, but why not criticize the army who places itself in front of children? Under the occupation, everything is a crime. People should not accuse us; it is the occupation that is wrong. I am a child of the Israeli occupation. It has always been there. My first real memory is of my father’s arrest in 2004 and visiting him in prison. At the time, I was three years old; he has since been arrested on two further occasions. Last year, when I was 16, I was arrested too, during a nighttime raid, for slapping a soldier who was standing in our yard. 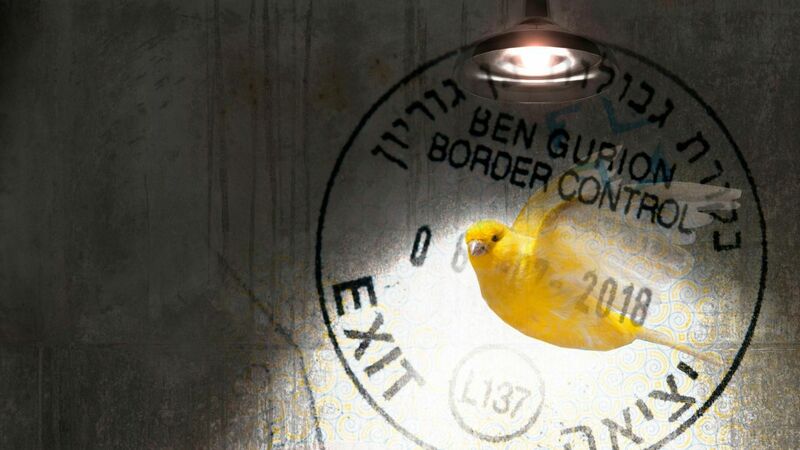 I was sentenced to eight months in an Israeli prison. Life behind bars was very hard. The guards woke us at 5:30 am for the count and at 8:00 am they returned to search the cells. Our doors opened at 10:30 am, when we were let out for breakfast. Afterward, we would go to the other rooms, where I could talk to my fellow inmates. There were around 25 of us. We were not allowed outside and walked around in a big hall for exercise. Along with the other girls, I tried to make study groups, but the prison administration did not encourage this and broke up the class. Instead, we read books, and I managed to pass my final exams in prison. Only my immediate family was allowed to visit me, and that was limited to 45 minutes through a glass barrier every two months.